In SCD, due to the hemoglobin polymerization, red blood cells (RBC) lose their elasticity and cannot deform to pass through capillaries and cause blockages. 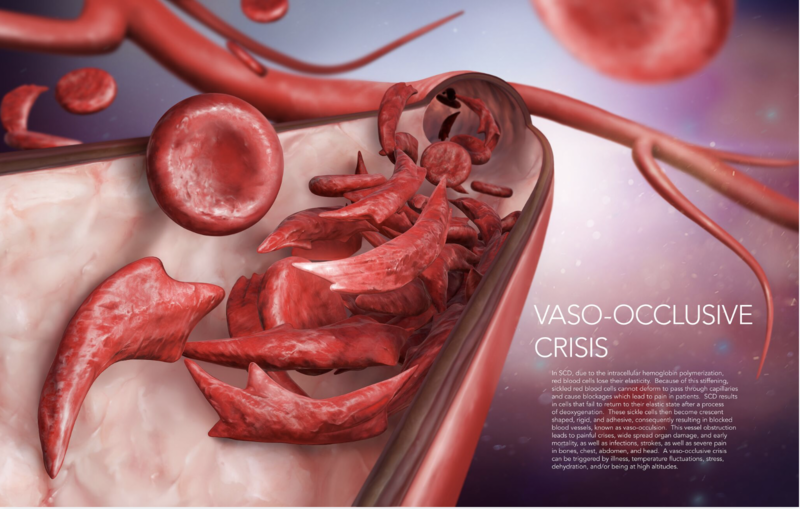 After a process of deoxygenation, sickle RBCs become crescent shapes, rigid, and adhesive, consequently resulting in blocked blood vessels, known as vaso-occlusion. This vessel obstruction leads to painful crises, wide spread organ damage, early mortality, as well as infections, strokes, and severe pain in bones, chest, abdomen, and head.